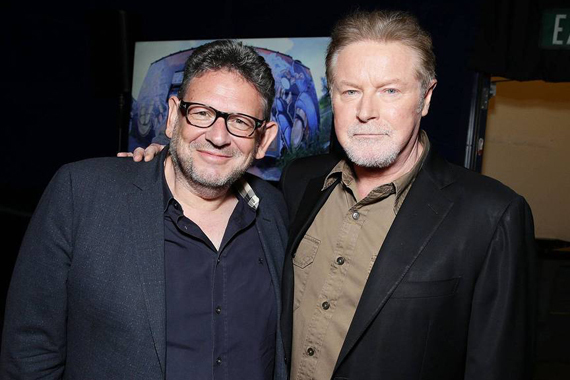 Capitol Music Group hosted the company’s 3rd Annual Capitol Congress on August 5 at the ArcLight Theatre in Hollywood, Calif. Nashville speaker/presenters included UMG Nashville Chairman/CEO Mike Dungan, UMG Senior Vice President of Global Streaming Jay Frank, and I.R.S. President John Grady. During the event, artists presented their forthcoming projects to company and entertainment industry reps from around the world, as well as consumer and trade media. Artists participating included Katy Perry, Don Henley and Adam Horovitz of the Beastie Boys, on what would have been the 51st birthday of Adam Yauch, who died in 2012. During the annual meeting execs shared that CMG was responsible for launching three of the top ten breakout artists in the U.S. of the past three years: Sam Smith, 5 Seconds Of Summer and Bastille.